It's hard to believe we're already into fall, and with it the soon-to-be holiday season. 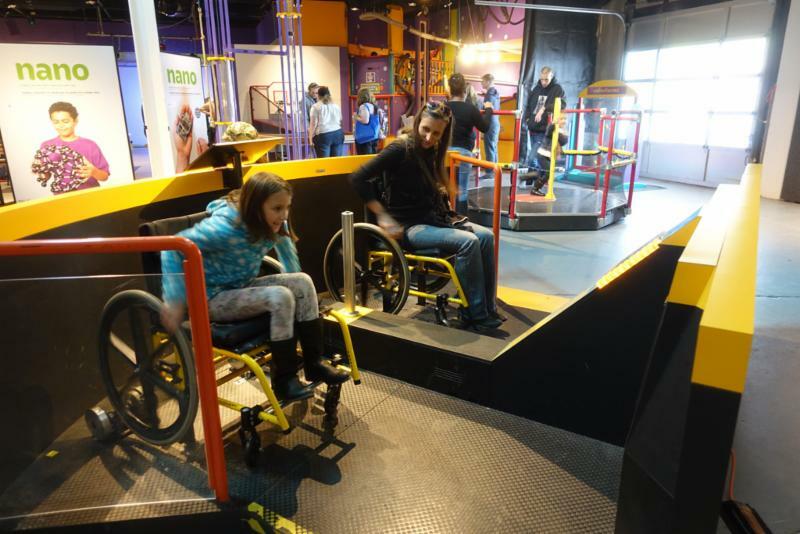 There's plenty of things happening at the Planetarium and Science Center. 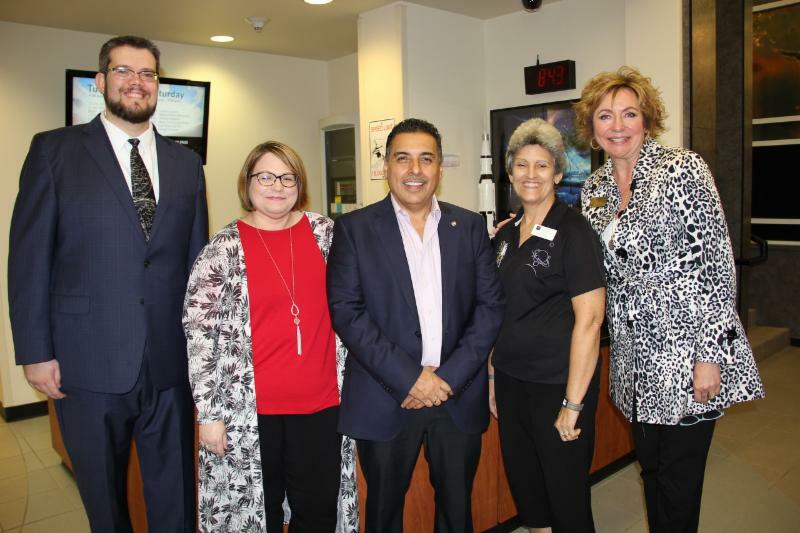 This month, we were honored to welcome engineer and former NASA Astronaut, Jose M. Hernandez. In addition, we had one of the largest turn outs for our monthly star parties. Thank you to every one who came out that night to view Mars, Saturn, and the Andromeda Galaxy. Our next star party will be November 3, from 8-10pm. Be sure to come out to this free event that is perfect for the whole family! We recently premiered the brand new show, Mars: 1001, which some long-time visitors have called their "favorite planetarium movie." 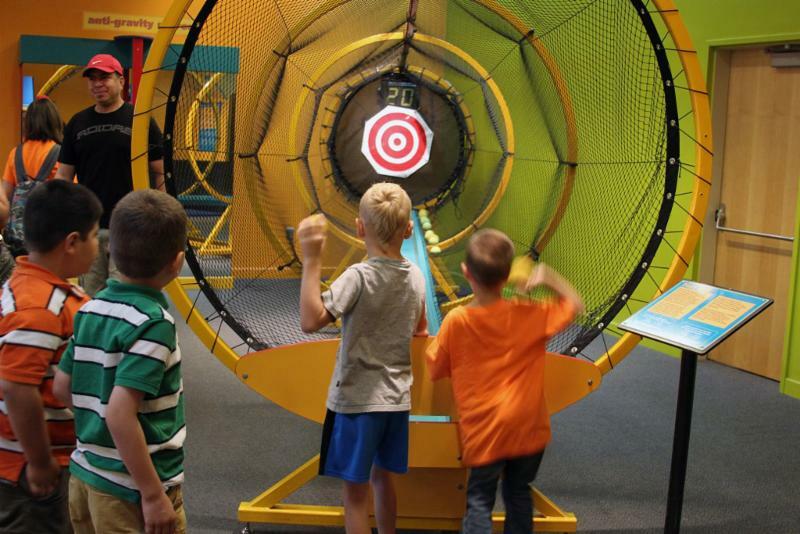 In addition, we have our exciting new hands-on exhibit, Sportsology, where visitors can learn the science behind popular sports while testing their strength, reaction times, flexibility, and endurance. Also, back by popular request, we have started $1 Tuesdays again. So for just $1 per person per show on Tuesdays, you can check out our new planetarium lineup and exhibit! That's not all! 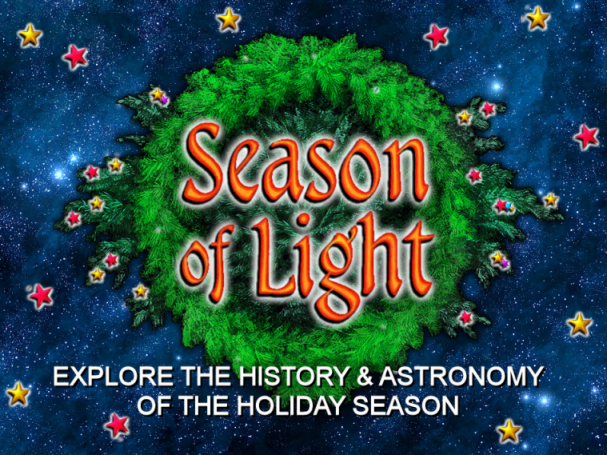 Beginning in November, we will have a rotation of holiday-themed planetarium shows, such as The Mystery of the Christmas Star, Season of Light, and Let It Snow. We will also have a laser show set to classic and modern Christmas Carols from Dec 10-21. There are so many reasons to visit us this holiday season, and we hope to see you soon! East Texas Live Sky, "Spooky Space"
Every day at 3pm for the month of October our East Texas Live Sky shows will feature "Spooky Space." In addition to learning about what can be seen in the sky that night, there will be a presentation about other "spooky" objects such as the Cat's Eye, the Little Ghost, and the Witch Head nebulas. Also be sure to check out our Halloween themed "Pumpkin Solar System!" but the planetarium is so delightful! The holiday season is nearly upon us. Beginning Nov 1, we will be adding Season of Light to our planetarium lineup. Beginning Nov. 23, we will also add our popular Christmas-themed shows: The Mystery of the Christmas Star, and Let It Snow. From Dec. 10-21 we will have special presentations of Laser Holidays, a laser show set to popular Christmas carols. Our Rock and Roll Saturday on Dec 15 will also be a special "Holiday Edition." Come celebrate the holidays with the Center for Earth and Space Science Education! Join us on Tuesdays where you can see a planetarium show and visit our exhibit for only $1 per person per show! Also don't miss our next Star Party Saturday on November 3rd. We will be having three live shows in the planetarium detailing what is currently visible in our sky at 8:00 pm, 8:30 pm, and 9:00 pm. Telescopes will be set up as well (weather permitting). For more information or if you have questions feel free to give us a call at 903-510-2312 or check out our website! Rock and Roll Saturday "Holiday Edition"